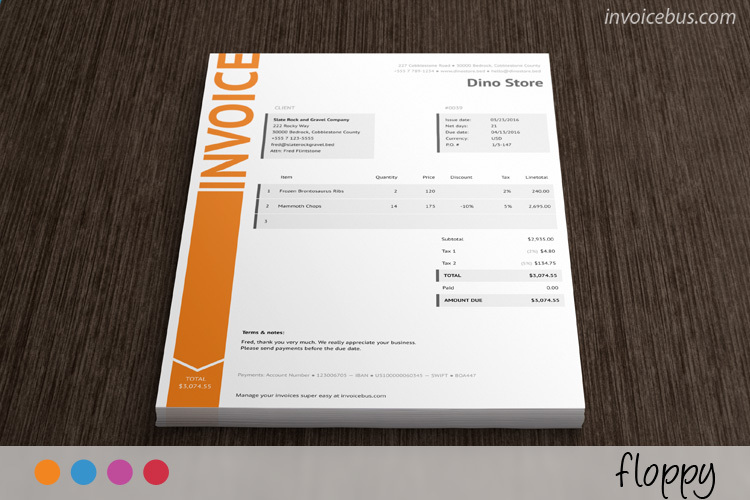 Floppy is a nice IT services invoice template with a classy, yet functional design. 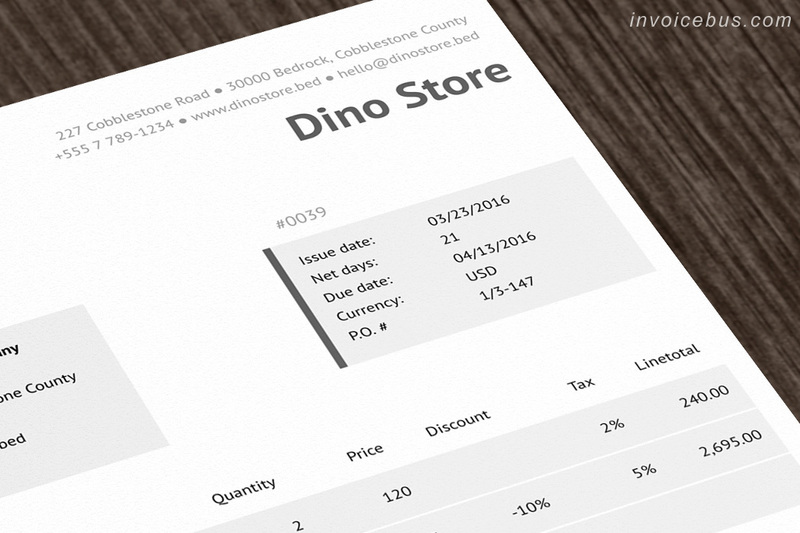 There is a heavy focus on the strong lines, neat alignment and well-defined sections which are nicely organized to form an easy-to-read invoice. 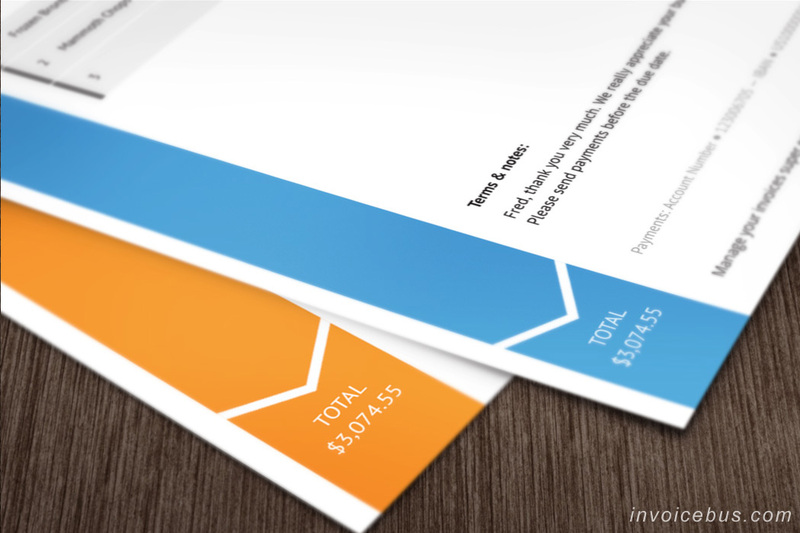 The left-hand part of the document is taken with a bold-colored stripe which starts with the big, confident title reading “Invoice”. The lower part of the stripe gradually morphs into an arrow pointing out the Total amount the customer should pay. The rest of the page is neat, clean, and elegant and directs the reader through the content. Floppy uses a font family which is based on the Russian sans serif types of the second part of the 20th century. Yet, it has distinctive features of contemporary humanistic designs. 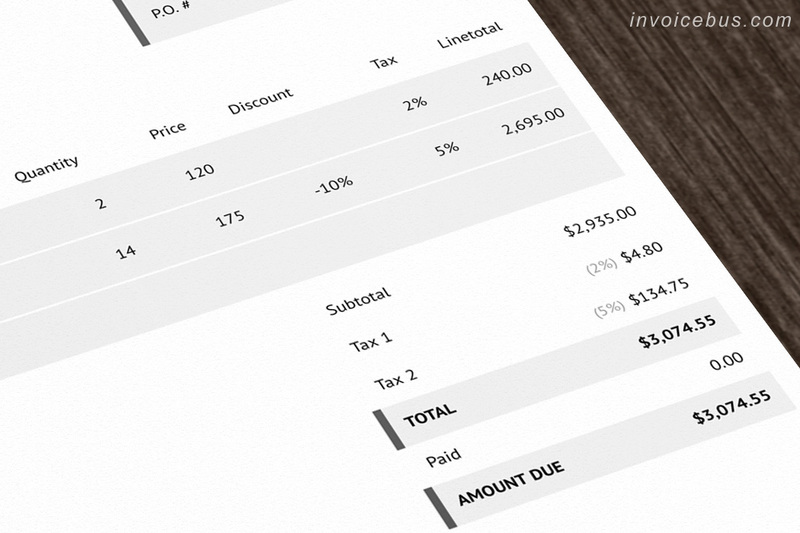 Unlike the clunky Word or Excel invoice templates, Floppy is built with modern HTML, CSS, and JS technologies. 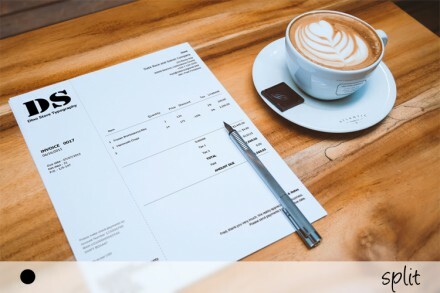 In other words, the template behaves like a simple invoice generator and allows you to write invoices in a matter of seconds. 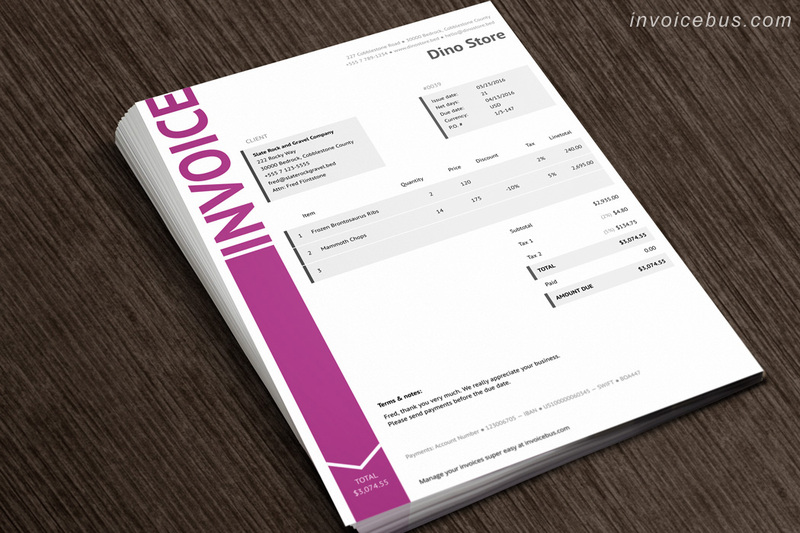 The invoice template is fully interactive and gives you the ability to customize the page according to your needs. For example, you can use your own logo and colors, you can use any language or currency, you can easily manipulate rows and columns, you can change number and date formats, you can even save you default information for future re-use. 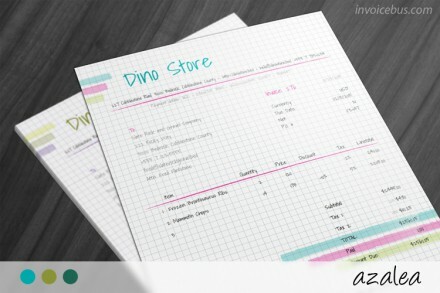 On top of that, all calculations are performed automatically as you start entering numbers. 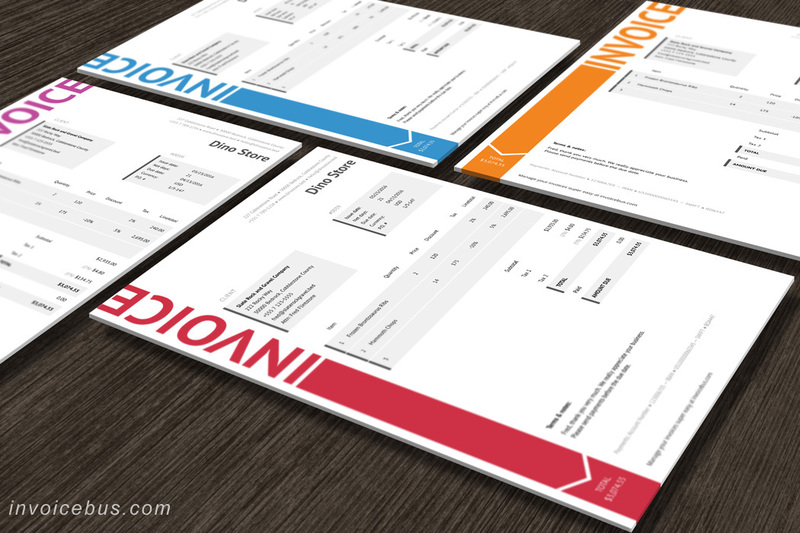 This IT services invoice template comes in 4 different color themes: red, blue, orange, and pink. Floppy is ideal for: it services, web developers, web designers, programmers, it consultants, computer repair technicians, electronic stores. 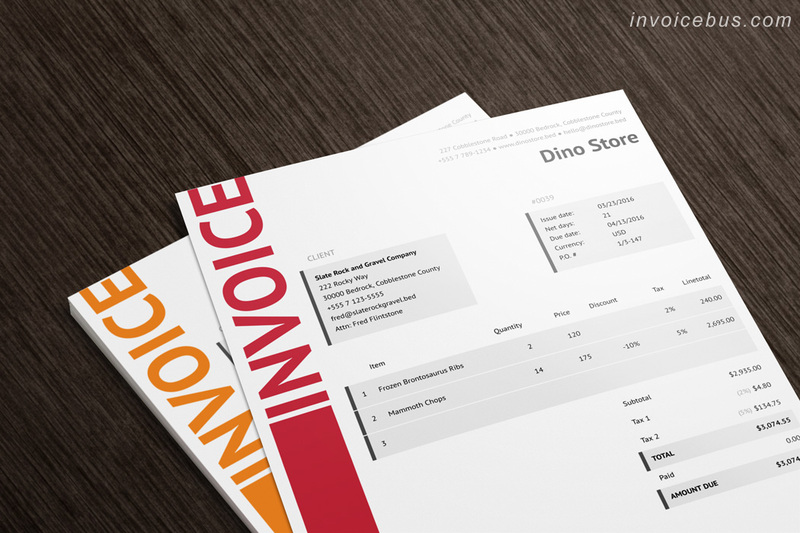 What’s included in this it services invoice template? The font used is PT Sans which is part of Google Fonts and is licensed under open source licenses. You can use it free of charge. 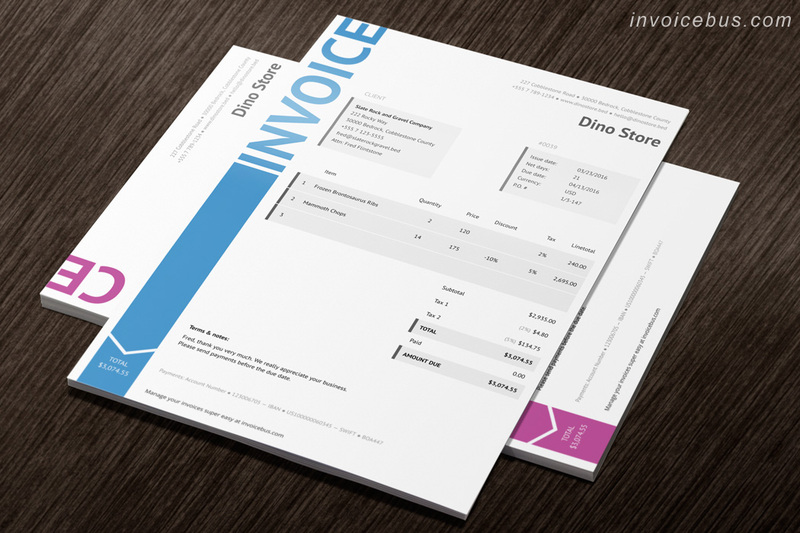 This it services invoice template comes with a standard license which gives you the right to use the invoice for personal or business needs, but you cannot resell or redistribute it on its own, or use it as a part of another product offered for sale. Read more about the licenses here. Any questions whatsoever feel free to check out our support forum. If you can’t find your answer just open a new topic and we’ll try to help you out as soon as possible. We’re a group of a few die-hard code freaks, lovers of beautiful design, stewards of simplicity and passionately dedicated to the invoicing experience. We also run Invoicebus – an online invoicing service that helps you receive quick online payments, directly through your invoices.